The Nokia 3 may be the baby of the bunch, but it still packs some punch. It doesn't have a metal unibody, but we were very pleased to handle a polycarbonate phone again. It's soft to the touch but grippy, not to mention very hard to smudge. 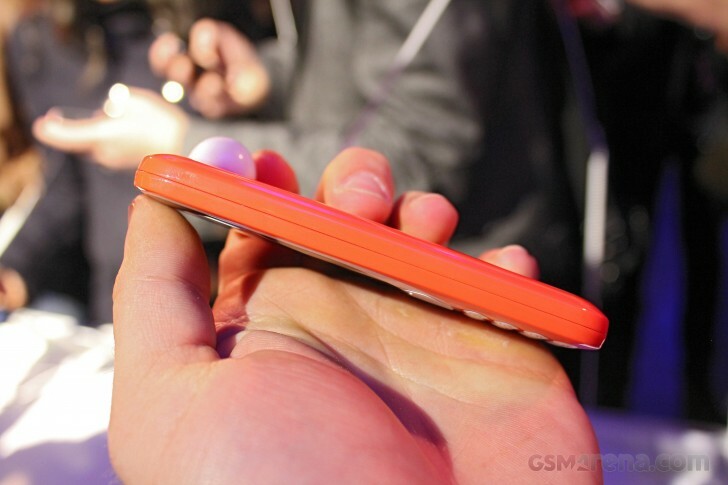 You still get an aluminum frame (exposed on the sides) for the rigidity. The screen diagonal drops again, this time to 5" while keeping the 720p resolution. It promises 450nits of brightness like the Nokia 6 and a polarization filter like the Nokia 5. The screen is laminated too, which also helps reduce glare. The Nokia 3 may be the cheapest phone to offer a selfie camera with autofocus (no one likes blurry selfies). 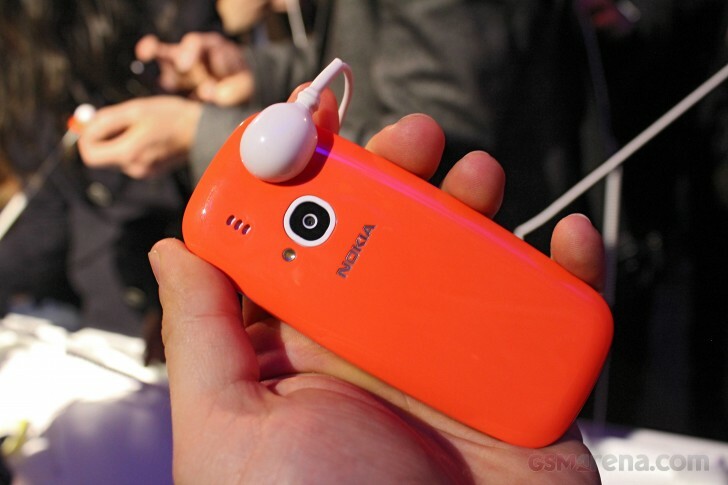 Again, it's the same selfie cam as the more expensive Nokias get. The main camera sounds like it's the same unit as the selfie cam. The odd Android One aside, this is also the lowest cost of entry to Pure Android Land. We're not in love with the MediaTek chipset with a quad-core processor, but we appreciate that Nokia kept the RAM at 2GB. Ah, the nostalgia... If the Nokia brand happens to hold a special place in your heart, like we know it does in ours, then you likely appreciate the iconic status on the 3310 already, even without HMD or us tucking at the nostalgia strings. The thing is, we are just the type of crowd the re-incarnated 3310 targets. And no matter how much we try to resist, it hits the spot just right. The big daddy. The indestructible one, as hailed by so many internet memes! Oh, oh, and Snake, glorious Snake. Do you remember the fancy gaming attachment it helped spawn? If you don't, it's just what it looks like, a joystick for that essential extra grip for ramping-up high scores. We'll that's mostly back as well. OK, backing up a bit. 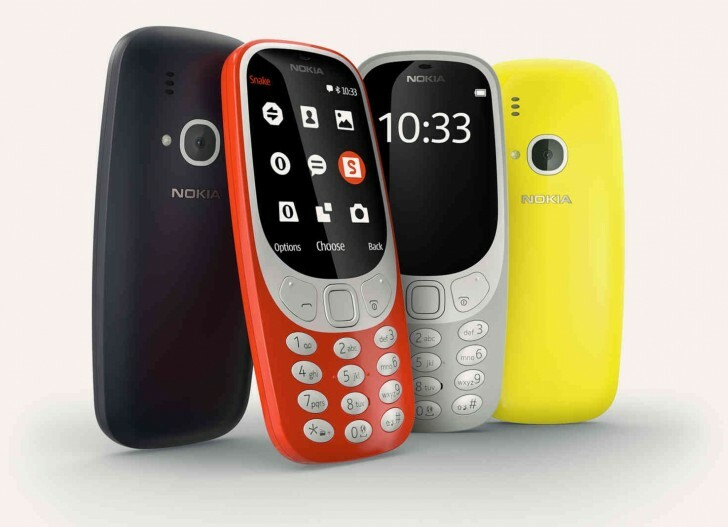 What can we say about the new 3310? Well, its design is, let's say, polarizing. 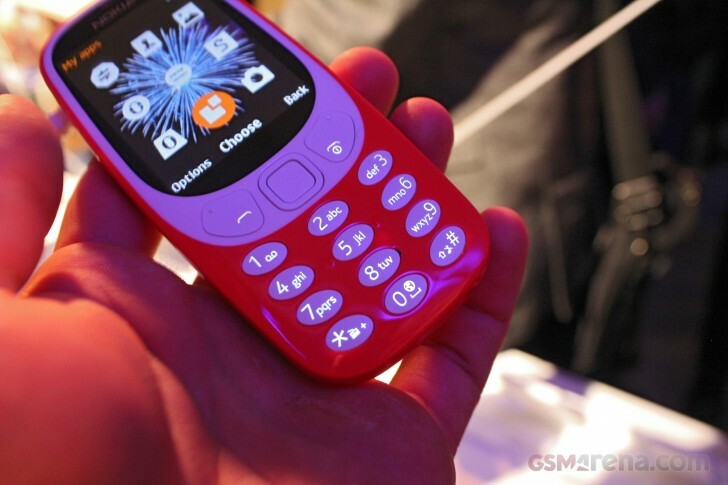 HMD claims it did the best it can to recreate the original 3310 rounded shape and silhouette. We're willing to give them that, at least to some degree, that is. The new plastic unit measures 115.6 x 51 x 12.8 mm and tips the scale at around 79.6g. The rounded number keypad is a great homage if we ever saw one. However, the other buttons are obviously wrong, even if possibly more usable. The same goes for the display. The 2.4-ich 240 x 320 pixel LCD is compact enough to be sort of period-appropriate. It's understandably now in color. However, the arching bezels seem kid of odd and so does the curved and polarized layer on top. 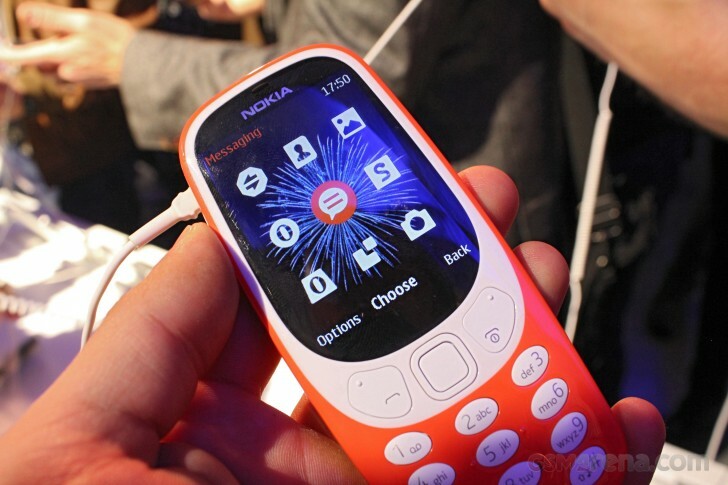 But, still, nitpicking aside, there is an undeniable charm to the revamped 3310, hideous or not. We definitely enjoy the playful color options, including Warm Red (Glossy), Dark Blue (Matte), Yellow (Glossy), Grey (Matte). And, we have to say, it's been a while since we had a phone that fits so snug in the palm and requires T9 for any form of fast typing - a part of the retro charm! Still, we do get that nostalgia can only go so far and some of you out there might be looking into the 3310 as a legitimate phone option for one reason or another. For those of you, we'll take a closer look under the hood. But, let us start with a fair warning before you even continue exploring the phone. The new 3310 is a 2G device (2.5G, to be exact). This is kind of odd, indeed. There is even an optional 2 SIM version listed on the Nokia website, but it is also limited to GSM 900/1800 MHz. There is a distinct possibility that you could be living in a country, where those old bands are no longer supported. Or use a carrier that has the same problem. Be sure to check that before making a purchase. While on topic, it is also worth mentioning that even if you do manage to get the 3310 working locally, you would still be limited to 2G speeds. Since the phone doesn't have Wi-Fi, that's all you have to work with when using the bundled Opera browser. And yes, there are apps on the Nokia 3310. The phone runs on an undisclosed processor and RAM combo, but it seems to be more than enough for the Nokia Series 30+ OS. This definitively makes the 3310 a featurephone and as such, it does have some applications at its disposal. And we're not talking about the boring Call Logs, Contacts and Messages. There is an Opera browser on there. In some regions, users will even be able to download light versions of Twitter and Facebook. 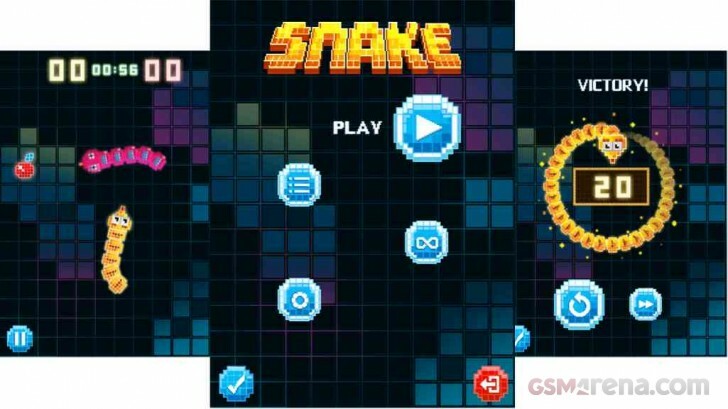 Oh and Snake, there is also Snake. It is, however, a redone version that only uses the 4 and 6 keys for left and right directional control. HMD could have included the original. All the bundled apps seem to work fine and load fast. Scrolling through the custom-styled UI is also breezy with the D-pad. So, what else is there to do on the new Nokia 3310. Well, it comes with 16MB of on-board storage, some of which is used up by the OS and apps. However, you can add up to a 32GB microSD card. If you do so, there is an MP3 player you can use for music, along with a wired pair of headphones to the 3.5mm jack or even a wireless pair, through the Bluetooth 3.0 radio, with SLAM. Plain old FM radio is also an option. Removing the back cover reveals a 1,200 mAh battery, responsible for all that Snake gaming and Opera browsing you can do. It is rated for up to 31 days of stand-by, 22 hours of talking and 39 hours of FM radio and 51 hours of MP3 playback. Pretty decent. Charging is done through a standard microUSB port. Last, but not least, there is also a 2MP camera on the new 3310, as well as a single LED flash. Well, that's about everything and we do mean everything about the new Nokia 3310. HMD promised the retro gadget will go on sale in Q2 this year, along with the Nokia 3 and Nokia 5 and new Nokia 6. If you are in it for the geek-chic, chances are this is the best use of EUR 49 around, likely only short of buying an original Nokia 3310 instead.